This was quite a bizarre set of circumstances. It all started a few days before I was due back to fly back to Australia from the USA, I was casually checking what music was charting in Australia at that moment. 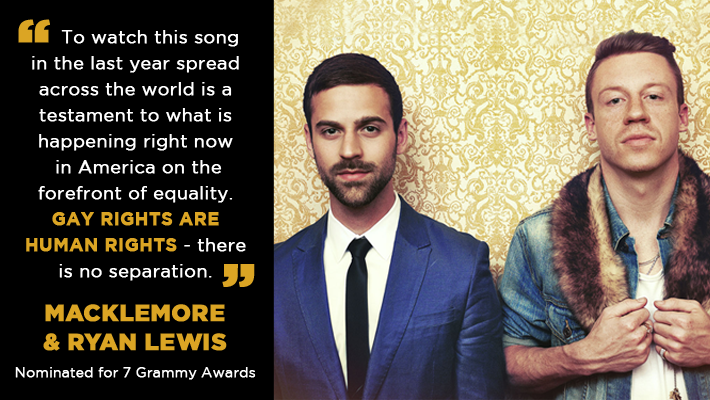 To my suprise a song called “Same Love” was number 1. I was familiar with Macklemore but only Thrift shop which was still going strong in the US at the time & had just won triple J’s hottest 100. I youtube’d the Same Love song and found a music video. I gave it a watch. I was left speechless. I remember I actually started tearing up. This song hit so close to home, the lyrics were just so profound. I felt happy, I thought my home country is moving closer towards equality. I’d never heard an artist speak up and stand up for the gay community like this together. Bold move! When my partner came home I immediately showed him. We were about to be split up due to inequality in this world. I flew back to Australia and all I was seeing and hearing everywhere was this Same Love song. I was genuinely intrigued that such a low tempo & controversial song was getting so much radio play! I waited a week for my partner to fly in. 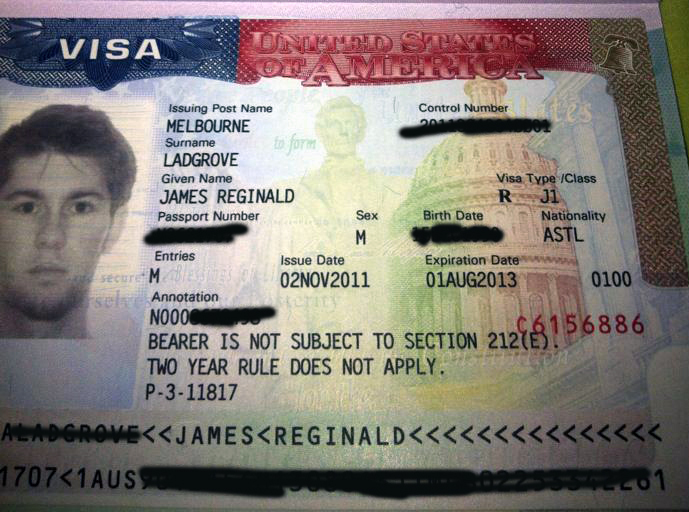 He was meeting my family for the first time, we flew to Queensland. We got of the plane at Brisbane Airport and were just cruising through the airport when my partner spotted him. 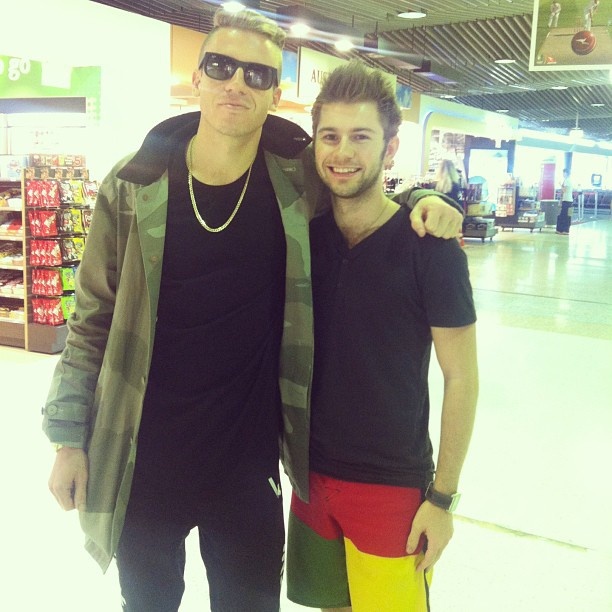 I didn’t believe him when he said there is Macklemore. Seeing was believing though. He was just cruising through with his wife. I went into semi shock. What to do, I had to say hello. I didn’t want to be one of those annoying fans that go all crazy. I genuinely wanted to express my gratitude and thank him. The conversation we had was very relaxed, I didn’t feel rushed or like I was interrupting his day. We shared a genuine conversation. I expressed my shock about Same Loves success. I explained how I had just come back from the USA, where the song was no where to be heard or seen it was not even in the top 100. He explained that American radio wouldn’t play Same Love as it was too slow & controversial. He said Australian radio is a lot more relaxed. I thanked him so much for writing such a great song for equality. I told him how when I first heard it I cried. I told him about my current situation where I was being forced apart from my partner due to inequality. He wished us well. I then asked for a photo. Shook his hand and we parted ways. I was left quite overwhelmed. I mean I just came back from living in LA where in my job I was surrounded by celebrities. This was different though. There is something very satisfying about being able to express your gratitude in person to such a talented man. A man you are very much a fan of. The Heist soon become my favourite album of 2013.Its no surprise to me that it was nominated for 7 Grammy awards, winning 4! It really is a great album, I find very inspiring this mans courage and what he has accomplished all on his own label. He sings about some really real issues. He was as genuine in person as his lyrics & topics are. I enjoyed seeing him in concert that year also. Thrift shop is to this day one of my favourite tunes. Same Love ended up doing really in well in the USA which I was very pleased about. Another huge step forward toward acceptance in society.